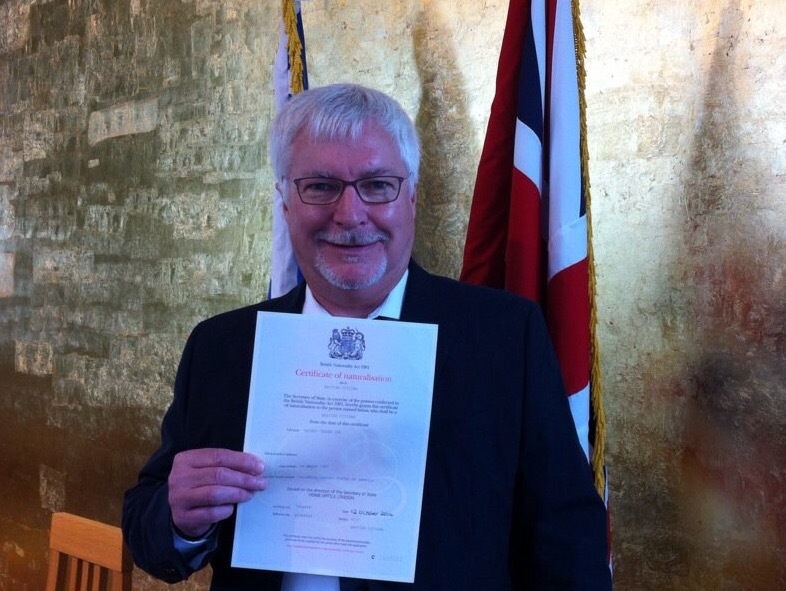 Almost 27 years to the day since I first arrived in Britain with a six-month work permit, I today became a British citizen. Feels pretty good. Can’t wait to vote Labour! We celebrated the arrival of 2013 with our traditional walk from the Wotton Hatch to the Stephan Langton in Friday Street. Very muddy going after all the rain, but no better way to start another year. We had a good walk – from the Wootton Hatch to Friday Street – that started in bright spring sunshine but ended in cold rain. Here’s Charlie somewhere in between the two. The walk mapped out with the Motion X app on the iPhone. We hadn’t been for a walk in the Abinger Roughs for quite a while so we went back on Sunday. Still as beautiful as ever, although somewhat more strenous than we seem to remember! Well, British Airways may offer the only non-stop flight from London to Phoenix, but we’ll be damned if we ever fly with the money grubbing bastards again! They’re going to charge £240 ($480) per bag if you want to check in more than one bag per person. That’s on top of the £70 so-called “fuel surcharge” they whack on to every long-haul airfare. Add to that the most thoroughly unpleasant cabin crews in the industry and you’ve got a real recipe for success. Virgin Atlantic via Vegas is looking pretty good to us. Author rrideyPosted on February 9, 2007 Categories Observations, Ramblings, TravelsLeave a comment on BA? No way!